Every pound of extra weight is like carrying excess luggage and affects your ability to function at your optimum levels. Obesity also has an impact on your overall health causing you to be more susceptible to diabetes, heart problems, stroke, cancer, and other life-threatening diseases. The Chiropractic Health and Wellness Center practitioners of Sterling, Virginia are committed to helping you lose weight and take control of your health. Your Body Mass Index (BMI) determines whether you are considered overweight or obese The BMI is calculated using your height and weight. If your BMI is 25 to 29.9, you’re considered overweight. A BMI of 30 or more is classified as obese. Chiropractic Health and Wellness Center uses Body Composition Analysis to measure your body fat, visceral fat, lean body mass, and hydration level of the body calculating your “metabolic age,” a more exacting measurement than a simple BMI measurement. Can extra weight contribute to other health problems? If you aren’t experiencing any weight-related issues currently, it may just be a matter of time. If you do have health concerns, those only add to the reasons why it’s important for you to get on an effective weight loss program. Chiropractic Health and Wellness Center uses Nutrition Response Testing, a precise, scientific, noninvasive system of analyzing the body in order to determine the underlying causes of ill health. Once the assessment is complete, a personalized health improvement program is designed for you to follow. What weight loss programs do you use at Chiropractic Health and Wellness Center? Chiropractic Health and Wellness Center practitioners use the Ideal Protein Weight Loss Method. Using quality protein, partial meal replacements, and nutrient-rich supplements, you’ll be on your way to a slimmer, trimmer you on this low-calorie, low-carb diet. Thousands of people have used this medical weight loss program to lose hundreds of pounds of fat, and they’ve kept it off. The Ideal Protein Weight Loss Method gives you a large selection of delicious foods to select. In addition to sumptuous protein shakes, you’ll enjoy sweet and salty snacks, hearty breakfasts, savory specialties, delicious soups, and much more. Coaching, encouragement, and weekly check-ins with Londi Arndt, the “Ideal Protein Coach,” give you the support you need to be successful. She also provides education about how your body uses food and helps you understand how changing the way you eat is the key to losing weight. In addition to Ideal Protein Weight Loss Method, Chiropractic Health and Wellness Center offers Laser-Like Fat Burning. This treatment uses a Class 1 noncoherent light to temporarily open pores in the fat cells to release glycerol and fatty acids so they can be burned by the body. Losing two to eight dress or pant sizes in 42 days is guaranteed for patients using this treatment. I have tried dieting and failed every time. 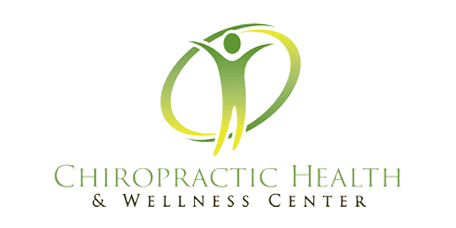 How can Chiropractic Health and Wellness Center help me? The doctors at Chiropractic Health and Wellness Center target the sources of your weight gain. Overeating may be part of the challenge, but coach Londi Arndt will help you overcome all the obstacles that are contributing to your weight problem. You’ll have plenty of encouragement and assistance for this journey. The weight loss program at Chiropractic Health and Wellness Center is medically supervised and effective. In fact, you’ll be inspired as the weight comes off, and you’ll learn more about making healthy food choices. You provide commitment and a willingness to take responsibility for your weight and health. Chiropractic Health and Wellness Center provides the support and cutting-edge resources you need for a successful weight loss experience and long-term weight maintenance. Ready to lose the weight and keep it off? Call or click to schedule your first weight loss appointment at Chiropractic Health and Wellness Center today!